Transparent, white, black, gray, yellow, green, red, blue. At the customer’s request, it can also come in other colors. 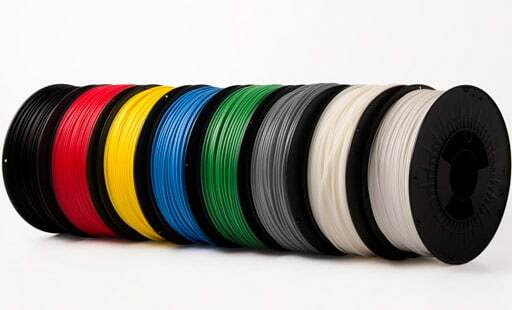 – Constant diameter ensures that your filament will not get jammed during printing. – No impurities in the filament, which could contaminate the final product. – The filament is wound in such a way as to avoid becoming entangled when printing. For purchase over 5 kg there is a 5% discount, in case of larger quantities the discount rate is negotiable. Make sure that the printing plate is placed straight. It is advisable to keep PLA indoors as it quickly absorbs moisture, which can cause printing problems. 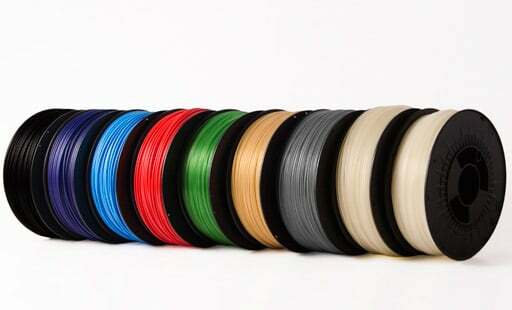 PLA bends less during printing than ABS. It can come in contact with food, however, it should not be exposed to high temperatures. Colors: natural, white, black, gray, yellow, green, red, blue. At the customer’s request, it can also come in other colors. Good adhesion of the first layer is very important for achieving the best printing results. Before printing, make sure that the plate is clean and straightened out. ABS is often prone to deformation, so it is difficult to print without properly heated plates. If you are printing on a cold plate, you run the risk of breaking or deforming the press. It is advisable to keep ABS indoors as it quickly absorbs moisture, which can cause printing problems. If it catches moisture it is recommended to dry it with hot air prior to use. A broken piece of ABS plastic is easy to mend with ABS glue.